Recently I picked up a copy of George Monbiotâ€™s Heat to read, because Iâ€™d read about the controversy surrounding some of his environmental ideas and I wanted to read a few of his ideas for myself. The bookâ€™s core premise is based on the question, what would the world look like after a 90% CO2 reduction? This book is essentially a compilation of many different ideas spanning areas such as green building to urban planning, but doesnâ€™t offer a lot of ideas that well-read environmentalists arenâ€™t already familiar with. What author George Monbiot brings to the table with this book, is the notion that most current carbon caps are woefully inadequate. Rather than the 5.25% reduction the Kyoto Protocol calls for by 2012, Monbiot argues that in order to avoid catastrophic climate change we need to achieve a much larger 90% reduction in CO2 emissions. Heat looks at technological and behavioural solutions to achieve this reduction, as well as examining what the world would look like with this reduction. On the subject of housing, Monbiot echos the sentiment of the community in saying that greening our buildings would have a major impact on our carbon emissions. He points out the fact that an average home in Sweden or Norway that meets building codes uses about 25% of the energy of a home that meets the UK building codes. He follows this up with the point that the building code in Sweden was tougher in 1978 than it is today in Britain. The UKâ€™s Minister of Housing and Planning dismissed proposals to introduce proper energy-efficiency standards for the refurbishment of houses as “unnecessary gold plating”. With out homes and buildings contributing up to half of all CO2 emissions, making our buildings as efficient as possible is critical to reduce our carbon footprint by the required amount. Monbiot takes on a somewhat pessimistic and conservative view of power generation, with a strong focus on natural gas-based power stations employing carbon capture technology. His proposed solutions would work fairly well in countries that had natural gas reserves, but wouldnâ€™t be feasible in places that didnâ€™t have any. The discussions on alternative power solutions such as wind, biomass, solar PV, solar thermal and geothermal are well researched and presented, but Monbiot ignores breakthrough technologies like Nanosolar, and spends much time discussing the shortcomings of intermittent power, a problem that can be addressed with a broader range of energy sources. The section on transportation in Heat is overall nothing new, covering the usual subjects of mass transit and energy efficient vehicles, but oddly enough he ignores some of the main points regarding the effectiveness of mass transit-based development and other compact developments. Monbiot also advocates hydrogen fuel cells as a viable technology for transportation, even though this technology is proving to be less than ideal in the near future. 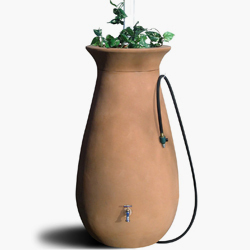 Estimates put widespread adoption and use of hydrogen fuel cells around the year 2050 at current rates of development. Monbiot also takes on air travel in this section, calling out alleged eco-tourism destinations that result in massive carbon emissions to get to, and self-proclaimed environmentalist celebrities that travel exclusively (and extensively) by private jet. He takes the opinion that although there are green alternatives for most of our transportation types, at present there are no feasible replacements for airplanes, and even biofuel powered jets still emit far too much carbon. He suggests that airships might be a viable solution at some point in the future, reducing the experience of long flights to something more akin to a cruise ship. The chapter on retail shopping is very well presented, and clearly demonstrates how the average retail store is already an environmental disaster even before you consider the vast supply chain that stands behind each store. The average UK retail store uses 275 kilowatt hours per square meter, whereas local offices average only 39. Most of this energy goes to 24/7 stage quality lighting, open refrigerators & freezers, and leaving doors open while air conditioning is on. Monbiot doesnâ€™t really seem to see these as solvable problems, but he does offer excellent solutions for smart transportation and delivery technologies using online shopping systems. I suspect that holographic and virtual reality technologies will someday make retail stores a thing of the past, but for now that remains just a dream. Perhaps the most controversial topic in Heat is the total dismissal of carbon offsets as a viable part of the solution. While there are some obstacles to overcome, Monbiot dismisses the entire concept, commenting that “Buying and selling carbon offsets is like pushing the food around on your plate to create the impression you have eaten it.”. What he fails to recognize, is that money raised from properly implemented carbon offset systems are providing real and valuable environmental improvements, ranging from the construction of wind farms to the protection of old growth forests. Overall, Monbiotâ€™s Heat isnâ€™t the enthusiastic call to action that Goreâ€™s â€œAn Inconvenient Truthâ€ was, but it does convey the message that itâ€™s not too late to fix this mess weâ€™ve gotten ourselves into. 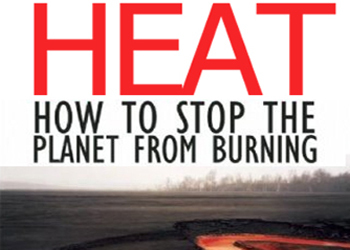 Offering some solid (and far reaching) recommendations about real steps we need to take to save our planet, Heat is part of a new breed of climate change books that looks at how to solve the problem, and not merely debating the existence of climate change. This isnâ€™t the book to convince a climate change skeptic, but itâ€™s a good read if you want to see another point of view on what to do about our ailing planet. Steve holds a degree in Environmental Engineering Technology from Humber College in Toronto, is a LEED Accredited Professional and a Certified Sustainable Building Advisor. He currently lives in Victoria BC and works as a green building consultant specializing in residential projects.